Oh hey, come on in. I’m Jack Reilly. Don’t mind the chaos. The shop’s in a bit of a mess because my shipment of Italian brakes and those chrome wheels just arrived all at once. I just opened CYCotics a little over a year ago and it’s taken a while to get it all sorted out. Right. It’s not all that sorted out today. Point taken. Have a seat on that pile of boxes. Thanks for bringing me the latte. I love those. I’d appreciate it if you didn’t mention that you almost tripped over the heap of bike seats to my friend, Charlotte Adams. She’s kind of obsessive about things. Great girl. Gorgeous and smart and generally wonderful. That obsessive thing is the only issue. Well, not the only issue. She doesn’t like my Hawaiian shirts and cargo shorts much and she thinks I should get the lead out and finish my PhD, but clutter is the big one for her. Okay, that’s three issues. Listen, I have issues too, I just wish she’d stop messing around with murder. She’s like a tiny turbo-charged creature that has to fix everything. Everything can mean villains and dangerous situations or helmets not set up right. She fixed that display for me. But murder’s the problem. The rest of us get drawn into all that. I don’t mind, because I’d do anything for her. Well, I wouldn’t let her organize my desk or business or change the way I dress. And if I want to keep bike parts in my oven, why would anyone else care? I should be used to her after all these years. Did I mention we met in grade school? We’ve been friends ever since. When I look back, I wonder if it was my mum and dad that were the lure. 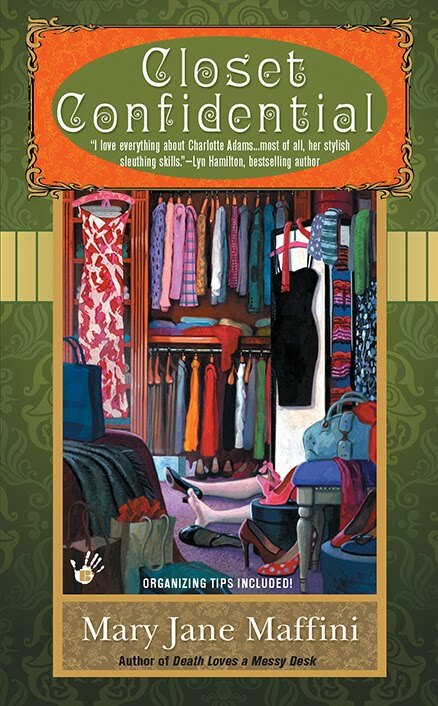 Charlotte’s mother, Esme, is a bestselling author and the most self-absorbed person in the universe. Maybe in several universes. Four husbands. Endless list of relationships. I think Charlotte needed a stable family and she liked mine. She spent a lot of time in my mom’s kitchen —eating, not cooking. I think she soaked up all the extra love my folks had to give. I gotta admit, I was the luckiest adopted kid anywhere. I liked having her around. She was a perfect little girl, really pretty and smart. I always liked smart girls. She always had her homework done early and perfectly. She was willing to do mine too, claimed it would be done ‘right’ that way. She did put all my baseball cards in order and bought card boxes to store them. Course, I could never find any after that. I used to miss her like crazy when Esme would drag her out of school to hit London or Paris, wherever the latest man was located. The worst thing was when she went to New York City after college and hooked up with that banking creep. Yes, the one who cheated on her and broke her heart. I guess I’m lucky he did, but I hate to think about how much that hurt her. Two and a half years ago she came limping back to Woodbridge and rented the second floor apartment in the house I inherited from my parents. She started her organizing business and rebuilt her life. Things are pretty good now as far as they go. She adopted Truffle and Sweet Marie, the bonded pair of miniature dachshunds I was fostering through Welcome All Good Dogs (WAG’D). Did you know she’d never had a pet before? So that’s working out. We eat pizza and Ben & Jerry’s New York Super Fudge Chunk together. We both mock the WINY news as a team. We hang out with our misfit friends. But I wish she could let herself relax, accept that someone could love her and care for her forever. And maybe she could learn to trust me. You know what? I’d die for her. Come to think of it, every now and then I almost do. I know she’s worth it. Wish she knew that too. In the meantime, I found the perfect bike for her birthday. Now if I can just get her to ride it. Hope to see you at the shop one of these days. Or in our latest adventure: Closet Confidential. I love that you are best friends with Charlotte and you'll always have her back as she'll have yours. I do believe that the author is listening to you in regards to your friendship with Charlotte. Hang in there. As for advice, have you told Charlotte how you really feel about her? Good luck for a good guy! Oh, Jack... too bad you're already smitten. I would have loved to have coffee with you sometime. But I think maybe Charlotte wouldn't be so happy about that and we characters on this blog need to stick together. I wouldn't go after someone else's man...I know firsthand how hurtful that can be. And... anyway, I have issues with a Jack of my own. Problem is, I don't believe he had quite the stable family life you did growing up. If he'd ever share anything, maybe I'd know for sure. Very nice to meet you, though. Love the bikes and the dogs! Jack, I've only just met you and Charlotte, but I could tell from the beginning you would do anything for her. I am looking forward to seeing how your relationship progresses with Charlotte. Though, be careful; turning a friendship into something more can cause it's own share of issues. I would hate for you to lose your best friend, because y'all are so great together; and you need each other. Don't blow it! Jack, the bike is a neat gift. Maybe it will help her remember how much fun the two of you had when you were younger and she'll begin to relax and trust. Give her time. Hey, everyone, thanks for coming by. I appreciate the advice. Dru, I know you've written to my author about this, so that will help. I'll try to find a way to let her know without scaring her off. Mason and Wendy, glad you like the bike. It's actually my author's, but it would be a lot better for Charlotte. Grace, I'll have coffee with you anytime. I have lots of women friends. Nice to meet you, Kelley. I think you're right - I'm taking it slow. We have enough issues around here. You sound like such a sweet guy. Believe me as someone who was jilted by a jerk, it takes a long time to heal, and you never quite trust your judgment again. Hang in there. Jack, I love the pictures of the dogs!!!!! Hi Jack! I'm afraid I have to agree with with Kelley. A romantic relationship with Charlotte could ruin your friendship. Proceed with caution! Jack -- I love the name of your shop: CYCotics is brilliant! Nice to meet you and can't wait to hear more about you and Charlotte. Thanks. It was really nice to be here and meet all you other characters. Who knew it was such a community. Skye, there will be a non-jerk in your future, I know it. Avery, glad you like the dogs! Maybe our Charlottes can meet some time. I am being cautious, Sophie. I can't risk losing everything. Thanks, Paige. Sometimes CYCotics is psychotic, but it's always fun. We'll keep in touch. Jack, you had me at Truffle and Sweet Marie! Can't wait to hear more about your exploits! Oh!! 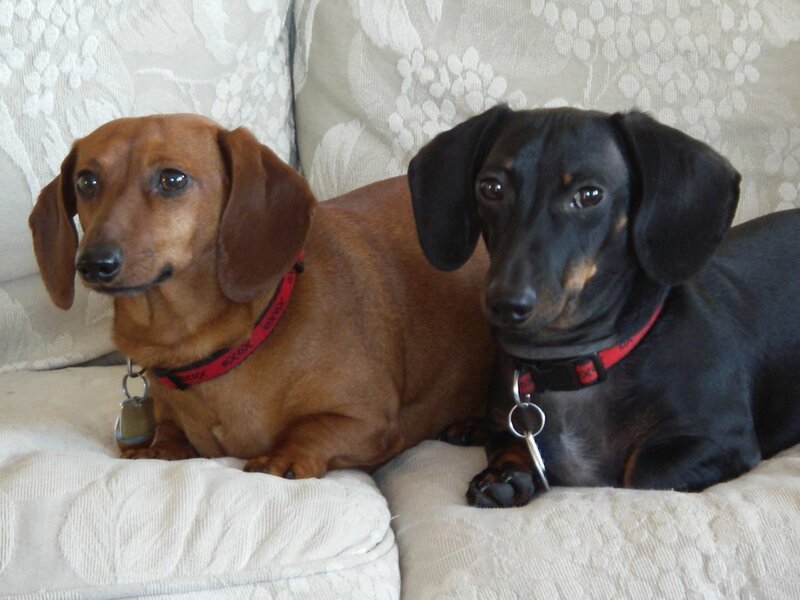 What adorable dogs - Truffle and Sweet Marie - they are beautiful! I can't wait to read more, too! Jack, you're such a nice guy! The dogs, the name of your shop, the pink bike - everything. 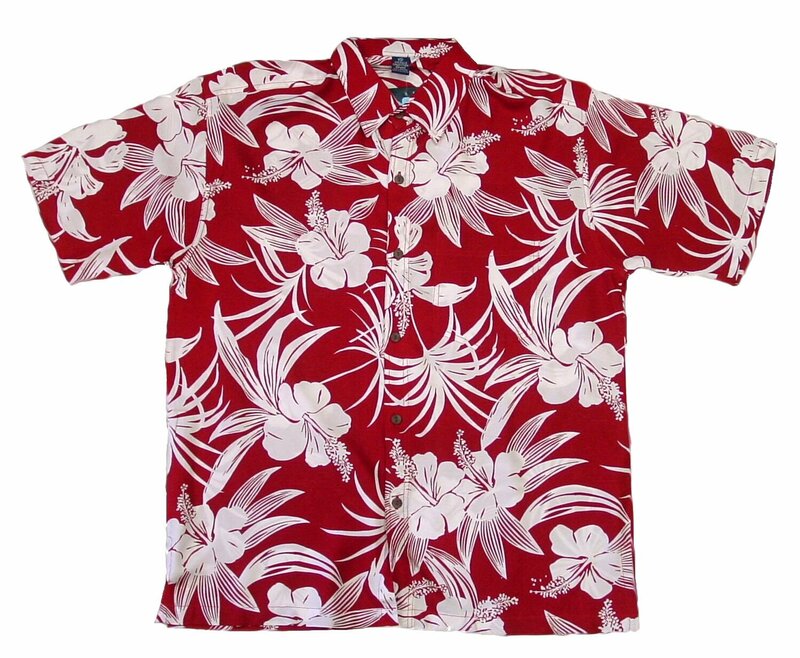 Do you think she'd like your Hawaiian shirts better if we added a touch of machine embroidery? Thanks, Mary and Hannah. I love all dogs and couldn't believe these two needed to be rescued. People. It's crazy. Willow, if Charlotte ordered embroidery for my shirt, it would probably say 'Jack, clean up your act.' But a good idea and worth a try. Oh, Jack. Talk to the lady....and really, bike parts in the oven? LOL. I've only done things like that in an emergency. The bike is a beauty, but you will definitely approach with care. Jack, you have to know that Charlotte doesn't share her ice cream with just anyone. I think you still have a chance. Don't give up! Hi Jack, nice to meet you. Don't you think it would be like dating your sister? Please just stay friends. Hi Jack! I think it's great that you and Charlotte are such great friends...although I think it's hard for guys and girls to *really* just be friends. :) I'm keeping my fingers crossed for you. Thanks, Annette and Elizabeth for giving me something to think about. I'll try to balance it all out. Laura, I can't imagine it either. I'm willing to give her all the time she needs. And all the pets too. Hi, Jack. wow, you've got a lot of heart, guy. Know you'll be good for Charlotte when she gets over that trust issue and if she doesn't break her neck when out biking. Hang in there (but seriously, think about ditching the Hawaiian shirts, please -- she does go on about them).